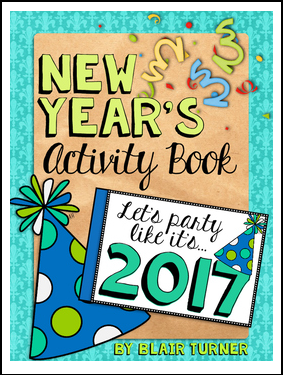 This fun little activity book is a great way to say goodbye to 2016 and usher in 2017 with your students! The pages are printed 2 to a sheet, so you can copy and cut for each student. Each page has a tab along the left side for you to staple. Make sure to check out my other winter resources! Click HERE to see all of my winter-themed resources! I hope you enjoy this fun freebie! Materials are intended for personal use only.